Alina's Cleaning Service Ltd - Cleaning Services based in Peacehaven, East Sussex. Alina’s Cleaning Service Ltd is a fully insured domestic and commercial cleaning agency established over 14 years ago, located in Peacehaven. We a member of Checkatrade, DCA - Domestic Cleaning Alliance. Ours standards are approved by East Sussex County Council. 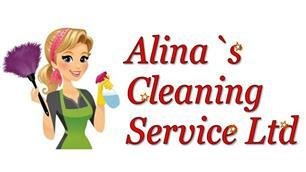 Registered as Alina's Cleaning Service Ltd No. 09571451 in Companies House. We pride ourselves on having very high standards and many satisfied customers. Our experience, quality, management and constant strive for perfection assures that our company continues to be one of the fastest growing companies in the cleaning services industry.